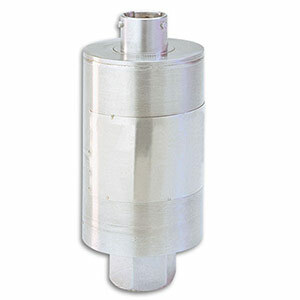 OMEGA’s PX35 Transducer Series is a rugged, general purpose 30 millivolt output, industrial pressure transducer. It has a hermetically sealed, all stainless steel case which makes it suitable for the harsh conditions found in industry. The PX35 is available in gage, absolute or sealed gage models. A Bendix style connector is standard, or a 10 ft cable is also available. 참고: 9/16 -18, 1/4 " HP Tube connection for ranges 10,000 psi and higher.